Minimalist shoes are those that attempt to mimic the act of running barefoot. The whole style of shoe is based on the idea that human beings evolved thousands of years ago to be effective distance runners, and shoes are best when they closely mimic the natural human running gait while protecting from hazards like broken glass. Before you get into what kind of minimalist shoes might be right for you, you should understand the rationale behind them. Many researchers believe that human beings evolved as distance runners for the purpose of hunting prey through what is called persistence hunting. Persistence hunting is the practice of a human or a group of humans running after a faster animal such as a gazelle or an antelope. These animals are significantly faster than humans are over short distances but they cannot sustain those speeds for very long. That is because animals such as deer, gazelles, and antelopes have very few sweat glands. They pant to cool themselves down; so, lowering their body temperature is contingent upon being able to stop and breathe heavily. Human beings, on the other hand, are largely hairless creatures that are covered in dozens of sweat glands. Human beings are capable of lowering their body temperature by sweating, irrespective of their ability to breathe. That means as long as human beings are properly hydrated, they should be able to avoid overheating. So, a persistence hunt works by a human or group of humans chasing animals which instinctively flee whenever a predator is within earshot. After enough time without the opportunity to stop and cool down, the animal falls unconscious. Some researchers theorise that this is how human beings first learned to hunt. Obviously, as this was thousands of years ago, human beings did not wear shoes while they were doing this. They were either barefoot or wearing animal hides over their feet. If, as these researchers suggest, human beings evolved as distance running creatures, complex running shoes are actually not necessary. However, there was no sharp metal, broken glass, and pavements when human beings evolved. That’s where minimalist shoes come into the picture. Minimalist shoes tend to cover two similar but distinct categories of shoes: barefoot shoes and minimalist shoes. Barefoot shoes are those that are designed to closely mimic the feeling and motion of wearing no shoes at all. They tend to be thin, flexible shoes that sometimes resemble gloves more than traditional shoes. The Vibram Five Fingers would fall into this category, as would some New Balance Minimus varieties. Barefoot shoes tend to have a 0-4mm drop; that means the difference from heel to toe is 4mm or less. They are also very thin and very adaptable. Minimalist shoes, on the other hand, provide a little more support. These are some of the most popular choices when looking for cheap trainers online. They provide more cushioning, more stability, and more protection than barefoot shoes, but still less than a traditional shoe. They are seen as an intermediate step between normal shoes and barefoot shoes; however, many people stick with minimalist shoes and never transition fully to barefoot shoes. Minimalist shoes provide protection from broken glass, gravel, pavement, screws, nails, and other hazards. However, they also allow the foot to move more naturally. While you might not be interested in chasing a gazelle for 16 or 17 miles, you might be looking for a new pair of running shoes. Are minimalist shoes right for you? Well, there’s no way to know the answer to that without first analysing the way you run. This is best done by consulting a physician and someone trained in analysing running gaits. However, if you’ve been running without significant injury, you’re probably fine to take a chance on some minimalist or barefoot shoes. With minimalist shoes, you should be sure to take it slow. The shoes are going to have significantly less padding than your old shoes. This padding is not actually necessary, but your running style might have to adapt to account for the reduced padding. Traditional shoes have tall and padded soles that encourage heel striking when running. Minimalist shoes have significantly smaller heels and less padding, so you will have to shift your footfall forward so that you’re landing on your mid-foot or forefoot. When you land on your mid-foot or forefoot, you knee naturallybends and you land much more softly. Research has proven that, paradoxically, impact forces are much lower in shoes with less padding. However, you have to take it slow for a few weeks so that you are adapting appropriately to the new shoes. If you try to adjust too quickly, you might end up injured. Also, you have to build up a pad on the ball of the foot to adapt to the increased impacts on the ball of your foot. Humans naturally have this pad on the ball of the foot, but it tends to grow thinner the longer you wear thickly padded shoes. When you are looking online for these shoes, you should know what it is you are looking for. Not every shoe that says it is minimalist actually is. This might be alright if you’re only looking for certain features, but if you are looking for seriously minimalist shoes, you need to analyse certain aspects. First, you should look at the heel-toe drop. Some shoes that claim to be minimalist have drops as high as 17mm. True minimalist shoes have drops typically under 10mm. You can also look at the thickness of the sole itself. There is no minimum or maximum sole thickness necessary to be classified as a minimal shoe, but they tend to be fairly thin. Also, you should look into the uppers. Though these parts of the shoes don’t actually touch the ground, they should be as minimal as possible. 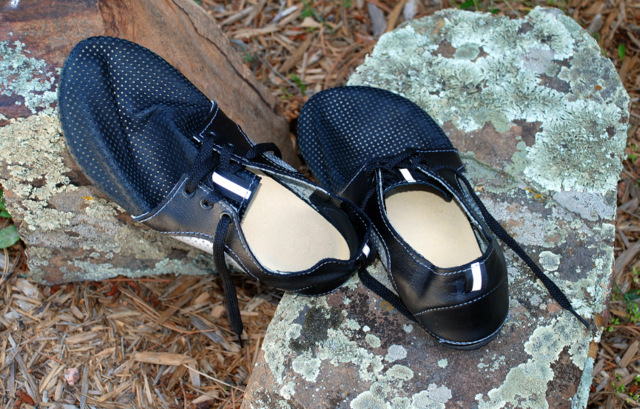 Thin, lightweight uppers help to wick sweat away from the feet and to keep the feet cool and dry. Mesh is a very common component of minimalist shoe uppers.